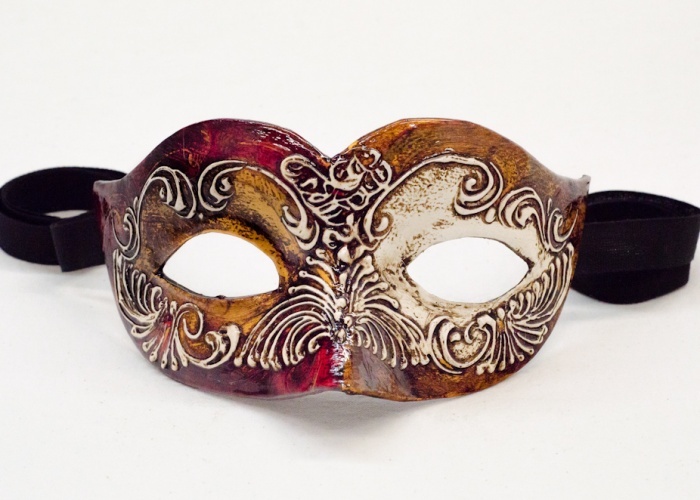 This Venetian mask is characterized by a decorative relief in stucco which makes every piece unique. The parts painted in red and gold are varied to give depth to the decoration. The mask is handmade from real cartapesta here in Venice.